Accuracy in a closed back, lightweight headset for monitoring in recording and broadcast studios, amateur radio stations, podcasting and computer outputs. 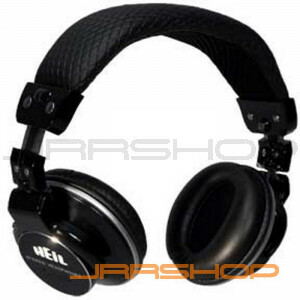 The HEIL Pro Set 3 features high quality 40 mm neodymium magnets and voice coils, lightweight, ergonomically designed cushioned headband adjustable for maximum comfort while significantly reducing outside noise. Supplied with three detachable cables. 1.8 M flexible straight cable. 1.8 M straight cord with mating iPhone/iPod compatible 3.5mm plug. 3 M coil cord - all twist lock terminating in a 1/8" (3.5 mm) professional gold plated screw-on 1/4" (6.3mm) adapter. Ergonomic design with soft, adjustable cushioned headband.